Step 1 - Preheat the grill (temperature is average). Chop red cabbage and onions. Mix in a bowl cabbage, mayonnaise, and yogurt. Set the salad aside. Step 2 - In another bowl, mix the shrimp, paprika, chili, pepper. 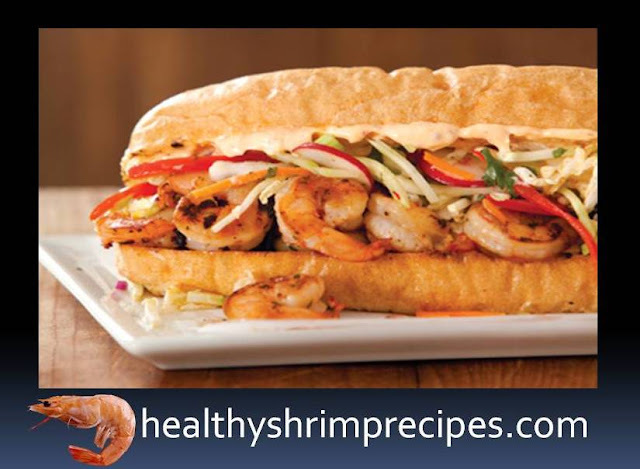 Cook them on the grill for about two to three minutes on each side, until the shrimp are pink. Also, dry the grilled buns. Step 3 - Fill the buns with cabbage lettuce, onions, tomatoes and shrimps and serve immediately.